The country’s leading pizza parlor chain operator Shakey’s Pizza Asia Ventures Inc. will continue its expansion program with the opening of 20 new stores this year to ensure continued growth as it aims to attack a new crop of customers. This will bring SPAVI’s local branch network to 248 by the end of the year. “We continue to see consumer spending fueling the Philippine economy, which is still one of Southeast Asia’s fastest-growing markets,” said SPAVI president & CEO Vicente Gregorio. SPAVI opened 20 outlets last year, around 80 percent are located outside the National Capital Region and 75 percent were also franchised. 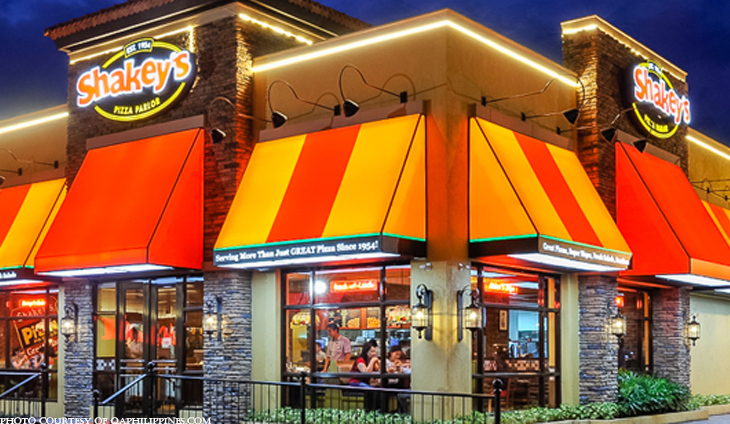 Throughout 2018, Shakey’s has been rolling out redesigned interiors for its newer branches, launching innovative products, and executing high-quality service. The company opened its second international store in Dubai last year, breaking several Shakey’s records for highest first day sales and highest number of pre-sold loyalty cards. With two area development agreements already signed up, SPAVI’s total international pipeline consists of at least 18 more outlets over the next few years.